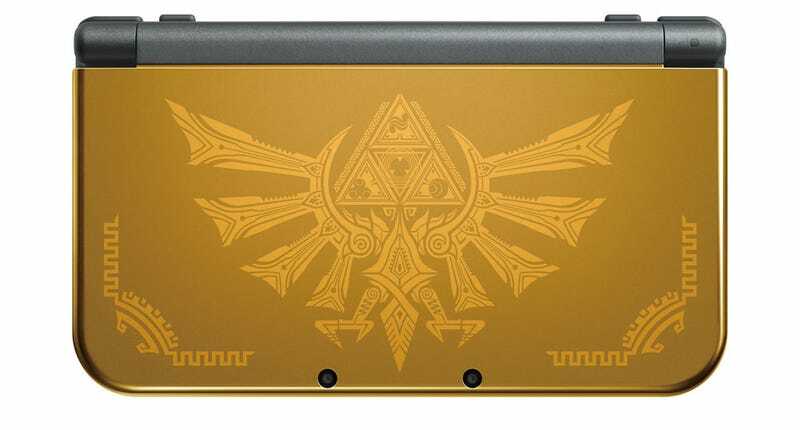 Just wanted to share the news that there’s a new gold New 3DS XL up for pre-order from GameStop. It’s apparently a GS exclusive, and it looks like the system alone is sold out (or hasn’t gone up for pre-order yet); they’re taking pre-orders for a bundle with the new Zelda game, though (Triforce Heroes). I know the craziness that happened with the Majora’s Mask system last year (I was part of it), so I don’t know how long these will last. Might be something to look into if you’re interested. Disclaimer: I used to work for GameStop; I don’t any longer, and I don’t get anything for promoting this. I’m also not part of the Kinja commerce team. The link in my article doesn’t get the commerce team credit for a sale, so if you want to do that, you should check their daily deals page for the appropriate link. This is mainly to inform people about something that could conceivably sell out quickly.